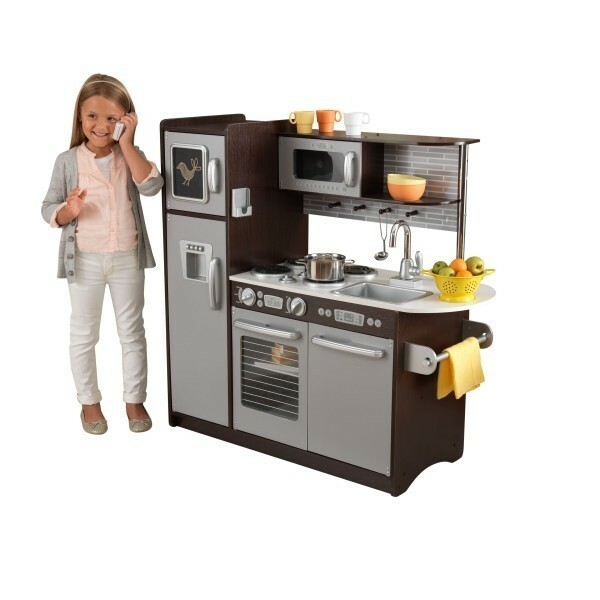 We are proud that our Uptown Espresso Kitchen from Kidkraft (53260) won the 'Parents' choice toy of the year award' 2016. 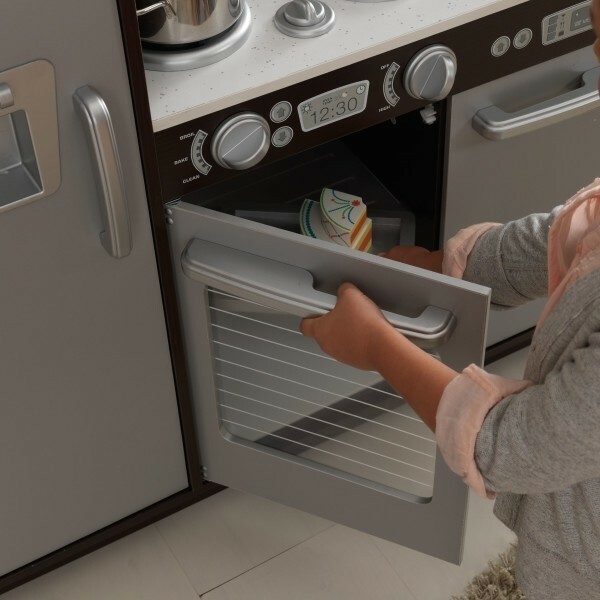 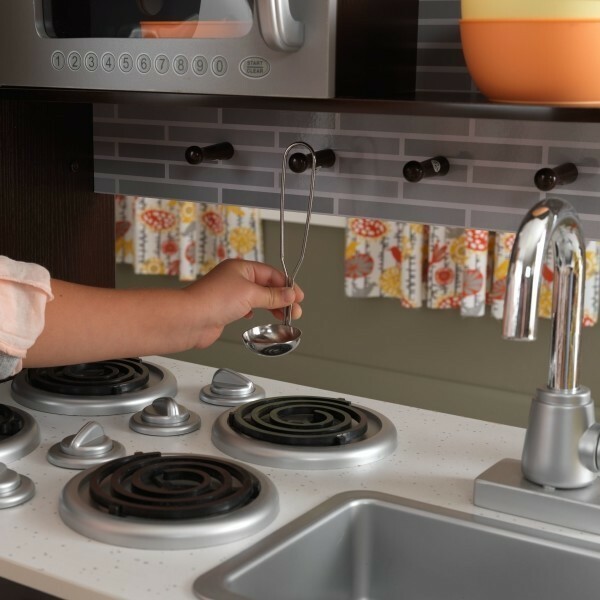 All kitchen appliances are interactive, with doors that open and close, buttons that rotate and click and a real chalkboard on the door of the freezer. 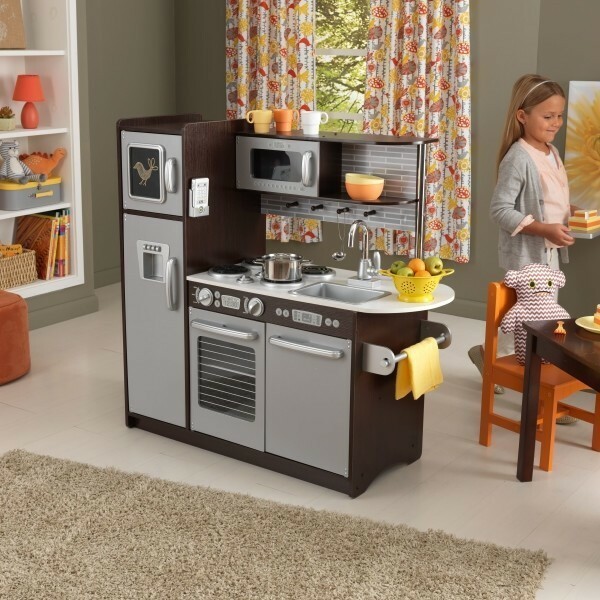 This Uptown Espresso kitchen from Kidkraft (53260) is made of composite wood and is inspired by the dark wood with steel found in modern kitchen appliances. 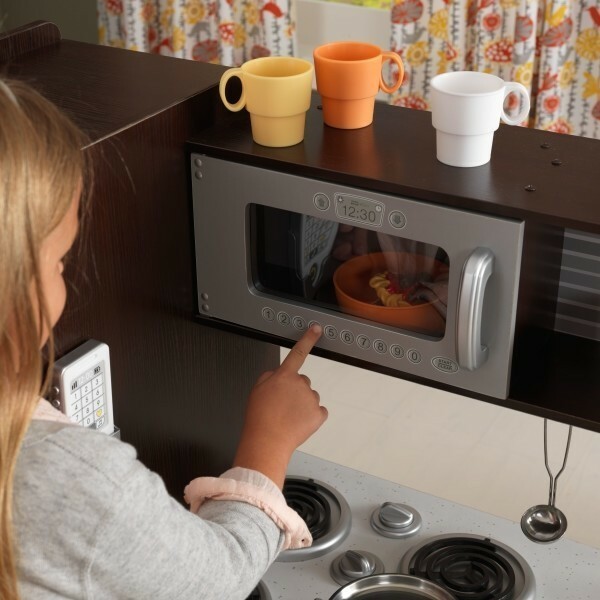 Letting children play together is good for social development. 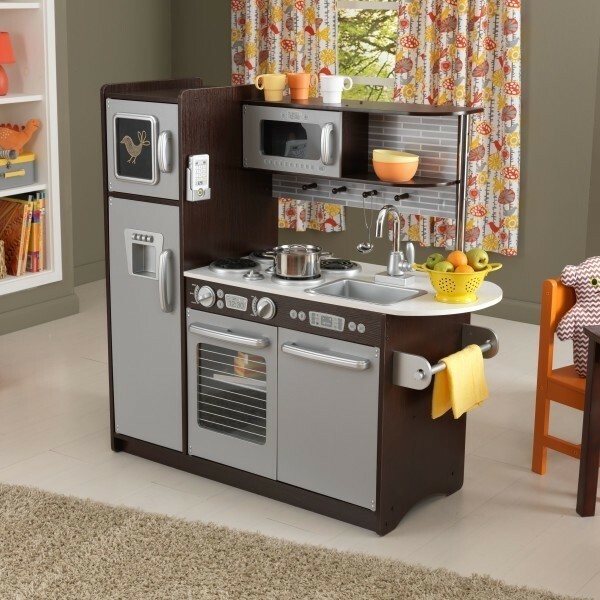 Often toys are individual, but this Uptown Espresso Kitchen from Kidkraft (53260) allows several children to cook together. 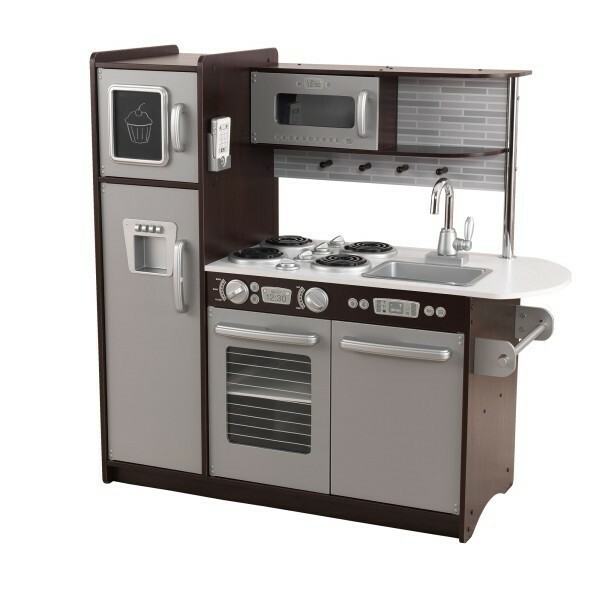 You probably already knew it, but with the name 'Espresso' the color of the kitchen is very dark brown- like the espresso coffee!